For our final Sewing 101 post of July, we're joined by Traci of Amazing Mae. 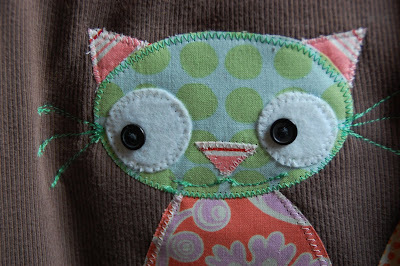 I first found Traci's blog by looking for applique tips, and I've been smitten ever since. I think a onesie was one of the first things I appliqued on as a gift for a friend's baby. 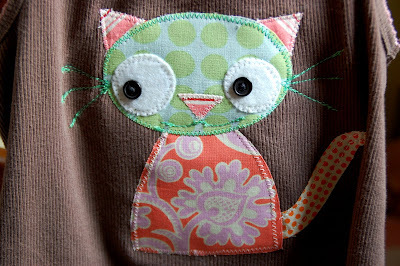 Applique is so easy and there are so many different ideas out there. Some of the best ideas come when you just start playing around with your fabric scraps. Look at the stores around you (Gap, Lands End Kids, mini Boden, and Carters) and check out what great images they are appliqueing on kids clothing. The ideas are limitless. 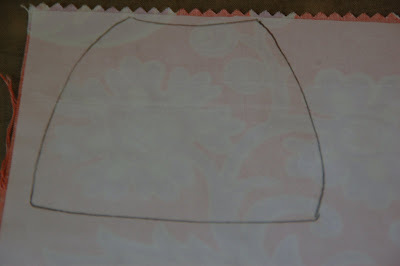 Also, Martha's website has tons of patterns under templates and clip art. There are also a few patterns on my blog on the sidebar under PATTERNS. Or, just take a simple image from a coloring book. It's so easy and makes clothing more personal. STEP ONE is to gather your supplies - simple - you need just need Heat'n Bond or Wonder Under as well as some Stabilizer. The Heat'n Bond comes in a package and the Wonder Under or Stabilizer comes by the yard. You will also need scraps of fabric and matching thread. 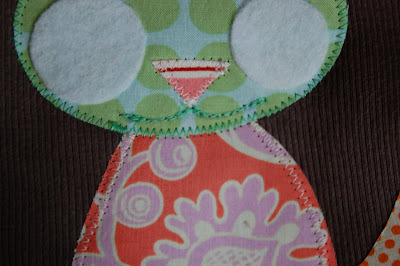 STEP TWO - Decide on your applique image. 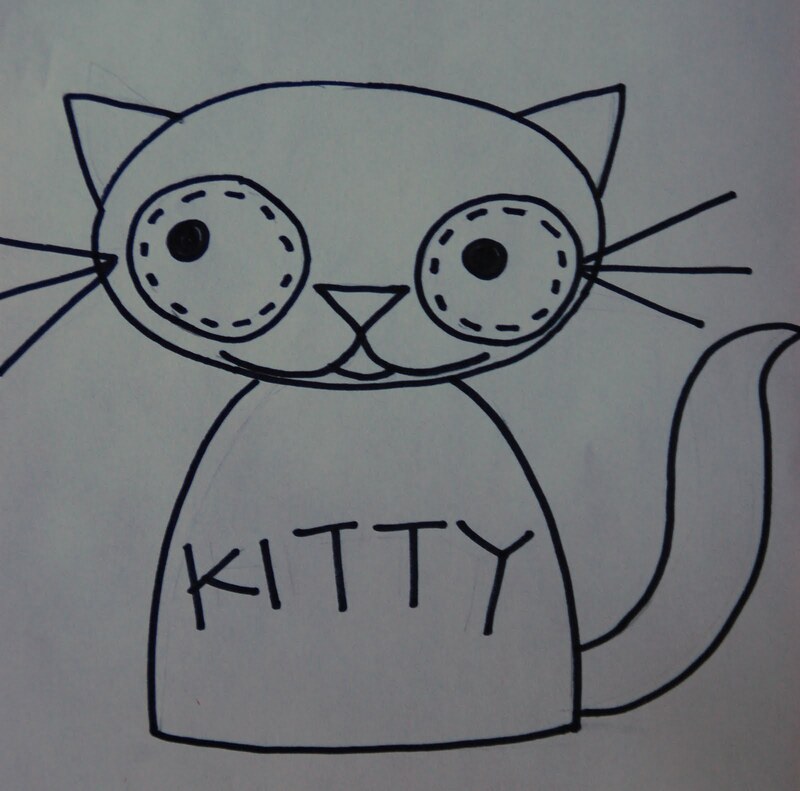 I decided to make a cat on my daughter's shirt. 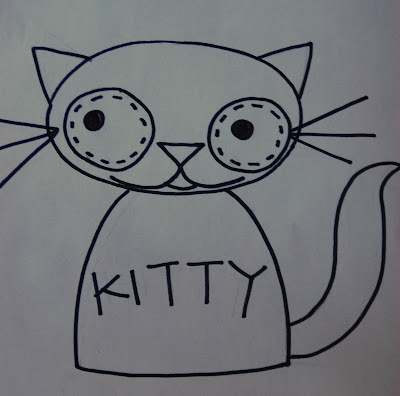 I had seen a similar one in a shop in the spring and loved it so I drew out a pattern. STEP THREE - Adhere the Heat'n Bond (following package directions) or Wonder Under (I really like them both) to the back side of the fabric or all fabric swatches/scraps you are going to use. STEP FOUR - Trace and cut out the pattern pieces on the back paper side of the Heat'n Bond or Wonder Under and cut them out. 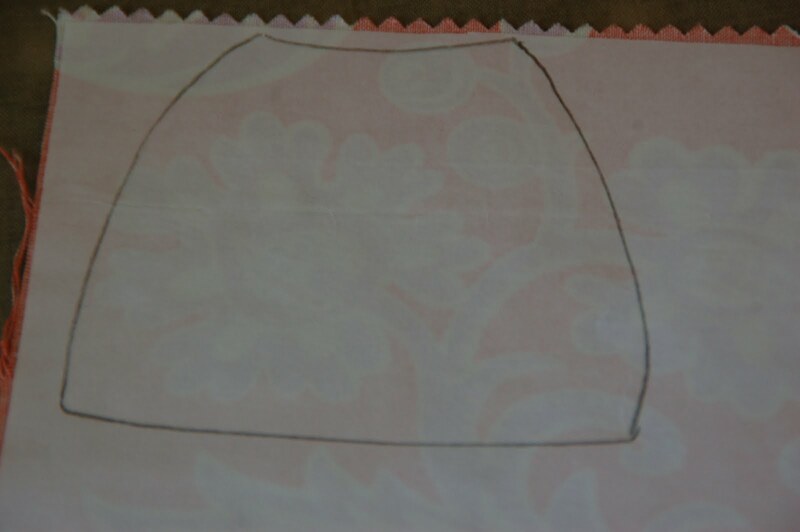 STEP FIVE - Unpeel the paper backing of your shapes and lay them out on the item of clothing you are appliqueing on. 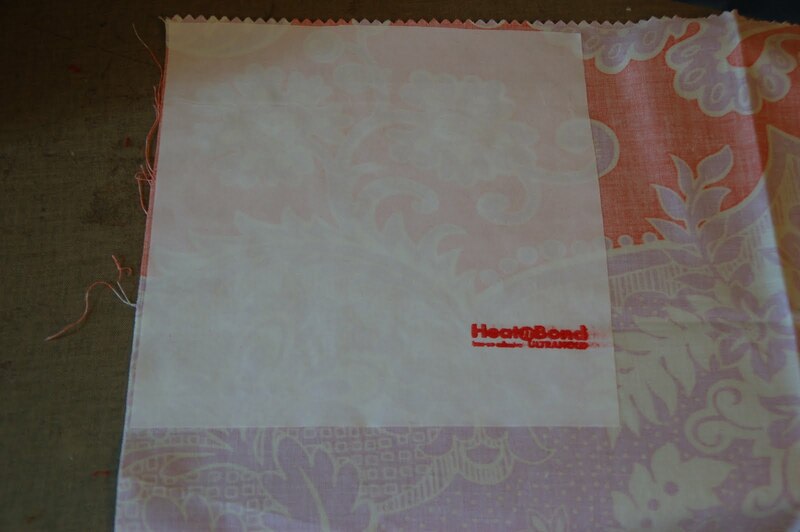 STEP SIX - Iron down the fabric according to the directions on the Heat'n Bond pkg. or Wonder Under directions. STEP SEVEN - Cut out a piece of Stabilizer (sometimes I use medium weight interfacing as well) and pin on the inside of the fabric. Now stabilizer is ONLY needed when appliqueing on knit or light weight material. If you are appliqueing on anything that is sturdy, I do not think this step is necessary. STEP EIGHT - Either zig zag stitch around the outside of the applique making sure you catch the applique and the fabric underneath or straight stitch about 1/4" inside the applique fabric all the way around. Either of these techniques work and it just depends on the look you are going for - clean applique would use the zig zag (the tighter the cleaner) and the straight stitch will provide a more casual look (the more you wash it the more the fabric on the edges fray). STEP NINE - Stitch any accents like this cat's mouth and whiskers with several layers of a straight stitch making sure to back stitch at the beginning and end. STEP TEN - Admire your work and start going through your son and daughters' closets finding other clothing that you can embellish. UPDATE: Traci added some extra tips in a blog post on her site...click HERE for the info. Thank you so much, Traci. The kitty is too cute. Please hop on over and see all the fun stuff on Traci's blog. It was her blog that really inspired me to start blogging. Some of my favorite projects are the birthday banners, road trip pillowcase and the trinket keepers. That cat is adorable! I always wondered how people made these. Thanks for sharing! oh, goodness. this is so cute. i love it. i've never tried appliqué, but i want to now! Cute! Cute! I can't wait to do some onesies for my little girl! Oof that is too cute! LOVE IT! This is also a great way to extend the life of a shirt that's been stained... Thanks for sharing!